Eero Saarinen conceived the the Womb chair when Florence Knoll told him that she was sick of “those chairs that hold you in one position”. Executed in molded fiberglass padded with foam upholstery, its wide, flaring contours encouraged slouching and sprawling and were perfect for the casual body language of the Fifties. 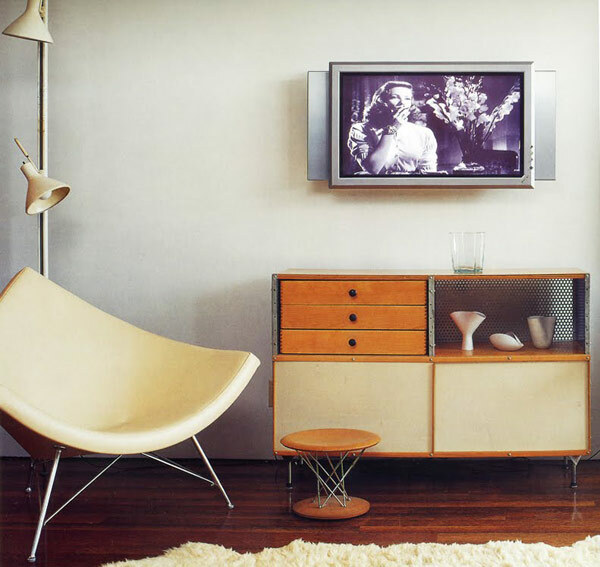 The public picked right up on the Womb as a symbol of those crazy things modern mid-century furniture designers were doing, and it entered popular iconography via ads, cartoons, and magazine covers. Extended, it became a couch. 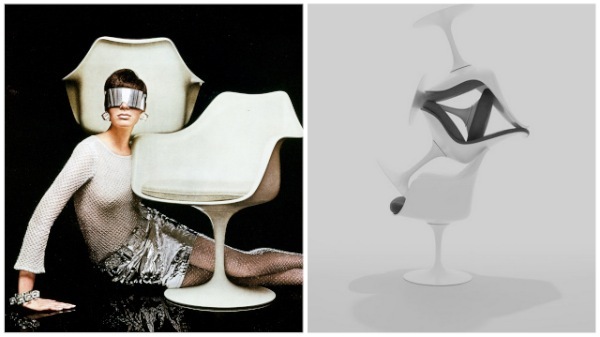 The Eero Saarinen Pedestial -Tulip- Chair. That had been Saarinen’s quest since the1940 Museum of Modern Art Organic Design contest, and in 1956 it happened, visually at least. The pedestal itself was made of metal and joined to the plastic-coated fiberglass seating shell. 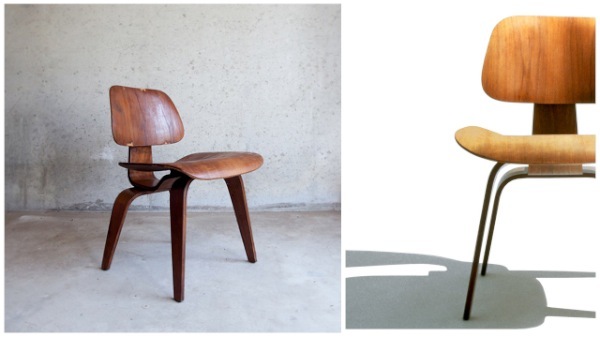 The Eames Molded Plywood Chair. The contours of its back and seat are ambiguous round-cornered rectangles but how well, for a small chair, it stands alone. These are not two-by-two chairs in need of lamps and tables to define their presence within a room. Yet they are unassuming-Eames liked furniture to take a back seat to its surroundings and discarded hundreds of preliminary sketches in an effort to tone down any jet-age, ready-for-take-off character. The five-ply birch or walnut plywood chairs came high, low, padded, painted, even pony-skin-covered. Legs were thick lengths of molded, laminated plywood or steel rods attached via rubber mounts. Whosoever has swiveled in an Egg chair knows the meaning of all-enveloping. While it is comfortable, it is also a powerful chair, bestowing an aura of instant importance on the sitter. Hence its popularity in corporate conference rooms. 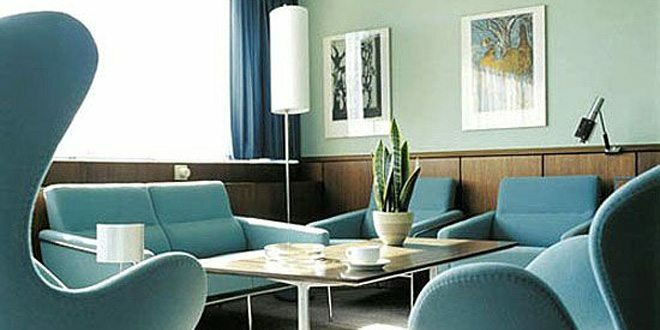 Jacobsen, a Danish architect, designed the furniture for many of his commissions, as well as textiles and appliances. 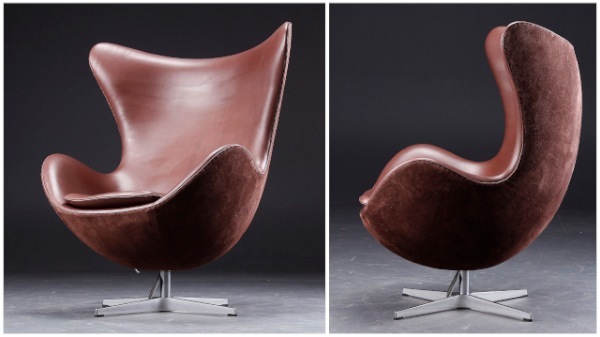 Two of his major chairs -the Egg and the Swan- were part of ]acobsen’s design package for the Royal Hotel in Copenhagen. For Fritz Hansen, the maker of the Egg chair, the problem lay in fitting the fabric or leather upholstery snugly to the foam padding over a plastic shell. The George Nelson Coconut Chair. A distinctive wedge of a chair, and no quarrels with comfort. The Coconut’s all-of-a-piece seat, back, and arms certainly, achieved the old ideal of visual unity. Sprung from the design office of Nelson Associates and manufactured by Herman Miller. I hope you enjoyed the last five of my personal top 10 mid century modern chairs. If you did so, LET ME KNOW WHICH IS YOUR FAVORITE IN THE COMMENTS AND DON’T BE AFRAID TO LEAVE A LIKE BELOW! 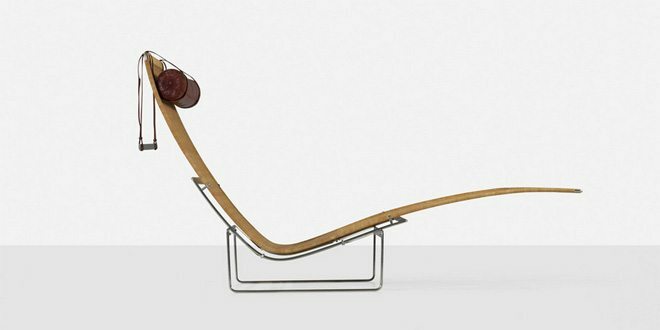 The Lounge chair was originally designed as a one-off bespoke creation rather than a piece for mass-production. 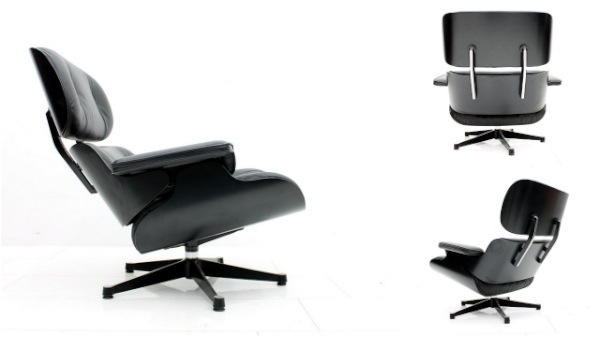 However, because of its overwhelming popularity Charles And Ray Eames adapted the design for production. ln doing so they deployed the same meticulous moulding techniques that they had previously developed for the ‘plywood group’ range. 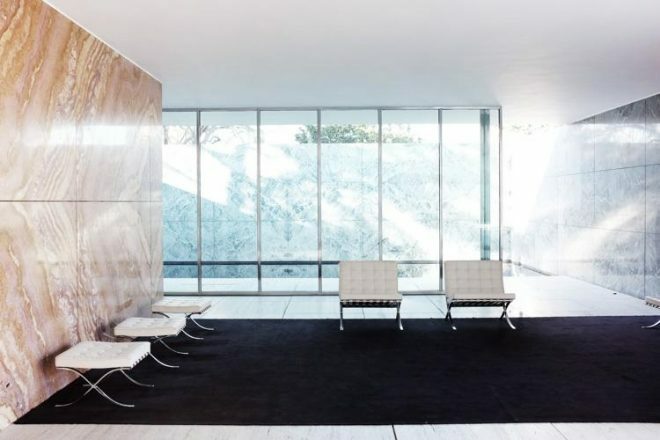 The prototype of the Lounge chair was made by Don Albison at the Eames Office, and the design was so successful that the it was eased into production in 1956. The early designs were available in a choice of fabric, leather or naugahyde cushions with a rosewood ply base. However, because of the scarcity of rosewood the current five-ply designs are now available in walnut, black cherry, or black-stained wood.